Best beaches. SOFT SAND. Solid surf. Surfing is for everyone, even if you’ve never tried it before. 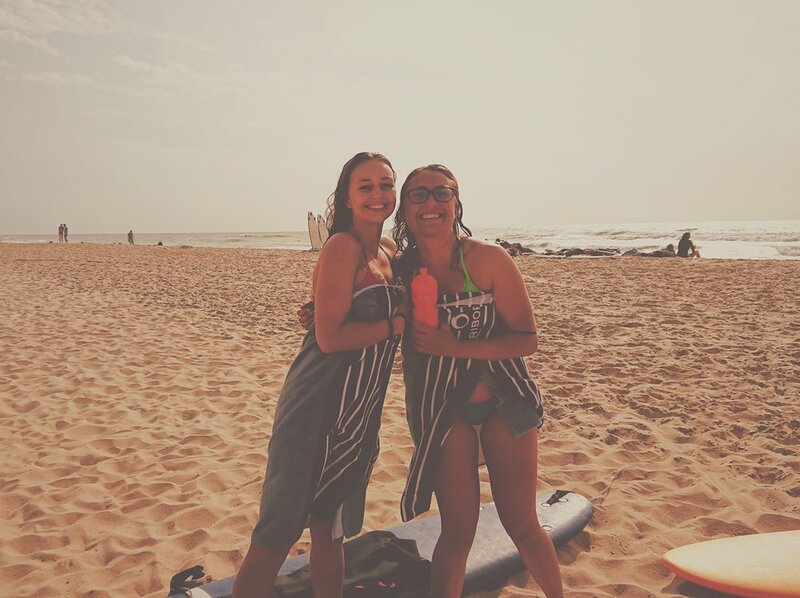 Sanctuary Surf and our awesome partners guarantee you will be standing by the end of your holiday if not before. The almost endless sandy beaches stretch as far as the eye can see down to the north coast of Spain. Get involved with group lessons to improve, or head out with a qualified local guide. Whether you're after your first wave or getting some face time, our great team and equipment will ensure you come away knowing you've smashed it! Our local spot only 5 minutes down the road is Plage du Pin Sec. The region's quietest public beach with only a few amenities preserving the wild vibe. We are graced with the same waves that hit other legendary spots such as Lacanau, Hossegor, Biscarosse and Biarritz on the same stretch of coast. Get in touch below for any question regarding surfing and SUP! Try SUP on France’s largest freshwater lake. Surrounded by dunes and pines. In order to continue delivering more than any other surf camp in Europe, we've invested in some slick new Stand Up Paddle Board (SUPs) included in all Packages. Want more information on the Retreat itinerary?